View this content on Leadership. 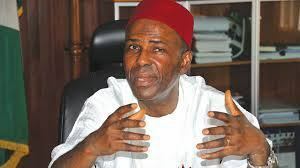 The Minister of Science and Technology, Dr. Ogbonnaya Onu, has said the adoption of methanol fuel technology would drive low-cost and efficient transportation and improve power generation in the country. Meanwhile, the country is on the verge of achieving a blend of methanol in the production of gasoline and generation of electrical power, going by the report of the Technical Committee (TC) on Methanol Fuel Technology Implementation programme set up by the federal government. The programme targets a15 per cent of methanol to 85 per cent of fossil fuel blend in the production of petroleum motor spirit (PMS) and its utilisation in the generation of electric power in Nigeria. Presenting the committee’s report at the Federal Institute of Industrial Research Oshodi (FIIRO) in Lagos, Onu disclosed that the report would serve as a technical guide for further inputs from stakeholders towards implementing methanol fuel technology in the transportation and energy sectors in the country before the end of the second quarter of 2019.The minister said, “Nigeria holds the largest natural gas reserves in Africa, ranks ninth in the world in 2016, and is among the world’s top five exporters of liquefied natural gas. “The country’s oil and natural gas industry typically accounts for 75 per cent of government revenue and 90 per cent of total export earnings. “Due to the lack of necessary utilisation infrastructure and low technological capacity, Nigeria still flares a lot of the natural gas it produces. He urged the oil and gas stakeholders to collaborate with government to actualise the project in the transportation and energy sector before the end of the second quarter. Also, the director-general of FIIRO, Prof. Gloria Elemo, noted that efficient transportation and electricity generation are two key indicators and drivers of a nation’s economy, while science, technology and innovation (STI) were strategic players in actualising both, leading to a diversified and sustainable national economic growth and development.